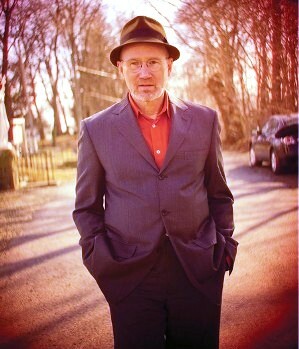 It’s easy to understand her alarm, for many of us Marshall Crenshaw was the embodiment of innocence and youth. Hard to reconcile his snappy, infectious songs, chiming guitars, and catchy hooks with this image of a middle aged guy. Classic Crenshaw attributes including an indelible sense of melody and tuneful essence combine to create a rich warmth and intimacy on every song of his new album titled: “Jaggedland”. The recording has a powerful vibe of immediacy thanks to Crenshaw’s warm vocals and riveting guitar work. Classic rock radio ruined a lot of the music that I used to love. And the Eagles top the list for me of great music that’s been killed to death by classic rock radio overexposure. I used to work with a guy who insisted on tuning the radio to some annoying classic rock station, so I cut a deal with him, we’ll listen to your station until they play ‘Hotel California’. We’d always be changing the station before lunch. I kept looking into the career of JD Souther. He lists his songwriting heroes as Tim Hardin, Bob Dylan, Hank Williams, and The Beach Boys. He admired Harold Arlen, the Gershwins and Cole Porter, and jazz was also a huge influence. 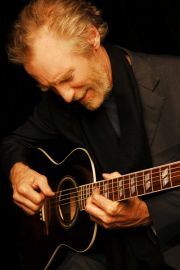 He has sung with artists as diverse as Lowell George, Christopher Cross and Clannad, Jackson Browne, Bonnie Raitt, along with KD Lang, Jennifer Warnes. His songs have been covered by more artists than I can list, but they include Linda Ronstadt, Glen Campbell and Bernadette Peters. 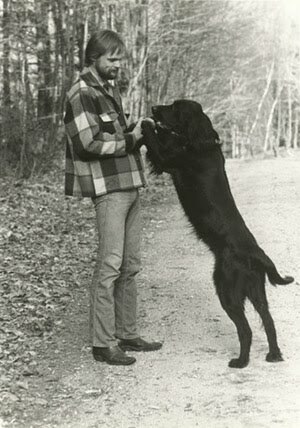 He wrote the lyrics to a Brian Wilson song for Wilson’s album Imagination and co-wrote and sang with James Taylor on “It Used to Be Her Town, Too” in 1981. He prefers the company of his dogs to people. Well, now I really want to hear this man, so I listened to some cuts from his solo albums. He’s got a voice that one reviewer describes as “fragile yet feisty” and the songs are a mix of jazzy to stripped down simple ballads. They’re wonderful songs. Forgive all my anti-classic rock snobbery, JD, I can’t wait to catch your show here on Friday 1/29. Grab your tickets now, click here! Just got off the phone with Seth Glier, he is all geared up for the February 6th show with Jim Boggia and Glenn Roth. What is The Trouble With People Seth!? Haha, well in all honesty when I was doing it, it probably should have been a 3-disc CD. But really, it is an album that I wrote when I was living out in Boston and it was view from my ear living in a city. Right now I live in Shelburne Falls, MA a really quaint and quiet town. But when I was in the city there was an intense relationship on top of other things and it kind of came out in 12 songs. Oh man, he is amazing. So many of the artists he has worked for have really crafted my writing style throughout the years. He’s worked on some timeless records, and for me that is really what it is all about. I’m much more interested in writing timeless material than anything else. If you could have one guest artist on a track on your next album, who would that be? I would have to say James Taylor. What time of day do you do your best songwriting? I am more of a morning person, but to tell you the truth I have no formula for writing. Sometimes it is on a drive home from a gig and I’ll pull over to write something down. One of my close friends is Ellis Paul, who is one of those people who are always writing, but I approach song a little differently. I have the idea and I let it marinate over time until it reaches a point where the emotion and ideas pour out of the song. Are you doing anything special for your show on Feb 6? Yeah I am. I’ve been doing about 200 shows a year and crank ‘em out. But Infinity Hall is my favorite place to play, and I want to do something special. Infinity Hall is the perfect place to unveil some of my new songs. What are your 3 favorite things about Infinity Hall? Margarete & Hospitality, Fred on Sound, The Food. Tune into WKZE 98.1 FM at 4:00pm today for a LIVE interview with Carrie Rodriguez. Carrie Rodriguez plays Infinity Hall tomorrow night (Thursday) with Ben Sollee and Kris Delmhorst. During the interview you’ll get a glimpse of what a unique show this will be. Station out of your range? You can also listen live online by CLICKING HERE! One year and counting at Infinity and I feel like I’ve had a lifetime of music pass before my eyes and ears. And his beautiful voice held the hall captive. No one spoke, no one fidgeted with a cell phone. For three minutes three hundred people barely breathed. One year later I’m still thinking about those three minutes. We’re lucky enough to have him back again, Saturday Jan 23, 8:00 P.M. Maybe I’ll see you there. Due to the recent events in Haiti, Grace Potter’s Fan Club is raffling off a pair of FRONT ROW tickets to her SOLD OUT SHOW this Wednesday! The way it works is every $5 you donate to the fundraiser gets you one entry to the raffle. It is for a good cause, and who knows… you might end up in the front row at Grace this Wednesday! !